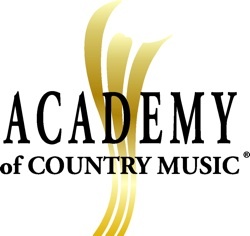 >>ACM nominations will be revealed tomorrow morning at a press conference at the Country Music Hall of Fame. Miranda Lambert and Ronnie Dunn will make the announcement. Check musicrow.com for all the news. >>ASCAP will stage its 33rd Annual Christian Music Awards on Monday, March 28, 2011 at Nashville’s Richland Country Club. Tim DuBois, Vice President and Managing Executive, Nashville will lead his creative team in presenting ASCAP Song Awards to the songwriters and publishers of the most performed songs in Christian music. Invitation-only. >>Christopher Massey has launched CountryRadio.TV, offering video news to country radio station websites. The subscription service hosted by Meredith Weiss features artist interviews, a behind-the-scenes look at music video shoots and tour rehearsals, red carpet coverage, industry events and performances. Contact Massey at (615) 866-6332 or info@countryradio.tv. >>Cara Owen has left her post as Sony Music Nashville’s Manager, Artist Development & Marketing and joined Wilbanks Entertainment as Sr. Director of Marketing and Publishing. The company is working with Randy Owen and BLEVE Entertainment on a fundraising project for the FOP (Fraternal Order of Police) and IAFF (International Association of Fire Fighters) Foundation Funds. Due in April, Owen’s studio album is being produced by Michael Knox. Owen can be reached at cowen@wilbankse.com or 615-337-8219. >>The Road to Bonnaroo contest, sponsored by BMI, Mercy Lounge, Yuengling, and the Bonnaroo Music & Arts Festival, will feature 24 bands with Nashville ties vying for three slots at Bonnaroo 2011, slated for June 9-12, in Manchester, Tenn. On Feb. 28, March 21 and April 18, eight bands per night will compete at the Mercy Lounge. An industry panel will contribute one half of the verdict, while fan voting through onsite ballots will determine the other half. >>A documentary about seminal American musical figure Sam Phillips will be screened Feb. 9 at Vanderbilt University, with film writer Peter Guralnick speaking after the presentation. The free showing of Sam Phillips: The Man Who Invented Rock ‘n’ Roll, is at 7 p.m. at the Sarratt Cinema.